Whilst it might not be widely spoken about, the history of doors actually tells us a lot about the way that design has changed over the years. Indeed, the way in which doors went from being a fixture to keep out the cold, to a way of revealing status and taste demonstrates how utilitarian objects have, over time, become a source of fascination amongst designers. Establishing exactly when doors became treated as objects worthy of decoration is, however, somewhat difficult. Some records suggest that it was the Egyptians who first recognised the artistic potential of doors. Used to divide sections of their tombs, a series of doors were decorated with images of the afterlife as they believed that doorways were symbolic of passing on after death. Other historians have pointed to the way that the expert metalwork which adorns the doors of the ancient Greek and Roman doors suggests they were the first to properly embrace doorway design. Whilst it might be difficult to pinpoint a precise moment in history that gave birth to doorway design as we know it now, it is certainly true that doors have become symbols which hint towards the life taking place behind them. The Tudors and Jacobeans, for example, would traditionally produce carved images on internal doors that were safe from the elements. These internal doors would lead to important areas of their homes that were reserved for entertaining guests. Similarly, for the Victorians, panelled doors with carved details were used to indicate the majesty of the rooms they preceded. The Edwardians were perhaps the first to embrace a more radical sensibility when it came to front door design. Fully embracing the Art Nouveau movement, their doors were often fully painted in farrow and featured stained glass details. Designers in the twenties and thirties would mirror this approach, utilising Art Deco colours and large glass sections to create striking doorways. Such fantastic doorway opulence became somewhat muted following the second world war when many homes were hastily built to replace those that were lost. Constructed out of plywood and bearing no design to speak of, the doors of the forties and fifties are undeniably plainer that those which came before them. In the later half of the twentieth century, designers turned to simpler designs, removing any kind of ostentation in favour of a more refined and sleeker look. 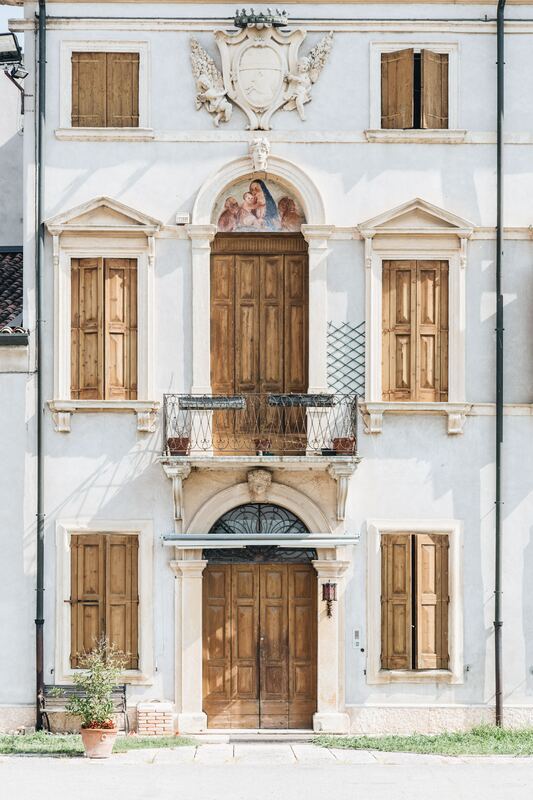 Today’s home and business owners are able to look back over history and take inspiration from centuries of style, selecting the kind of door which best suits their aesthetic. With both minimal and elaborate designs to draw from, it’s possible to install a door that makes an excellent first impression and complements the overall character of a building, whether it be cotemporary or rustic. It’s also possible for locksmiths to integrate latches and locks to older style doors, meaning that it’s possible to achieve a vintage look without having to compromise on security.